The Social Security Administration announced on Wednesday, February 19 that veterans with a U.S. Department of Veteran Affairs disability compensation rating of 100% Permanent and Total disability will be eligible to have their disability benefits claims processed more quickly beginning in March. SSA officials have promised that veteran applications will be prioritized and that these applications will be subjected to faster assessment, in much the same way as the SSA processes disability claims from Wounded Warriors, a veterans service organization. Acting Commissioner of Social Security Carolyn Colvin said “timely access to disability benefits” should be one of the perks that veterans that served the country should enjoy. Filing for Social Security disability benefits can be a tedious and difficult on your own. 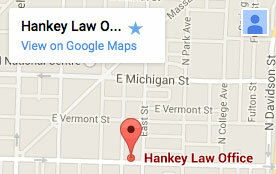 Fortunately for those living in Indianapolis and seeking these benefits, the legal team at the Hankey Law Office can help. Call our offices today at (317) 634-8565 to discuss your situation and what we can do for you.